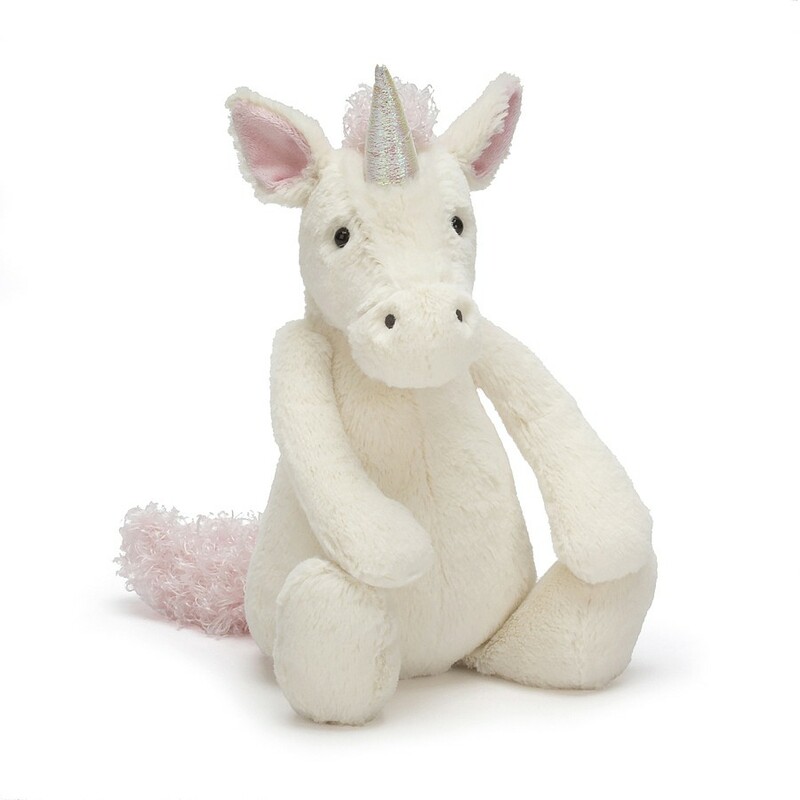 Sugar-sweet in pink and white, Bashful Unicorn is such a delight. Full of magic and moonlight, she loves the forest, so be sure to take her on any picnic. So very cuddly, with squish-squashy hooves, even her horn is shimmery-soft.